Across the country, many people are looking to simplify their lives and lower their housing costs by downsizing their living spaces. Their choice of accommodations ranges from permanent or semi-permanent “tiny houses” or “micro-apartments,” extra-small apartment units in densely populated areas. But downsizing doesn’t necessarily mean giving up on the appliance conveniences they’ve grown accustomed to. With Wind River’s models usually topping out around 350 square feet (though they have built larger homes in the 400-800 square foot range), space, as you might imagine, is precious. Appliances that won’t get a lot of use are usually left out. But tiny spaces have many of the same conveniences as their full-sized counterparts, just on a smaller scale. How much use an appliance will get is the major factor in whether it will be included. “In a tiny house, if someone doesn’t use an oven, they probably won’t have an oven,” Weaver said. “If you want a full-sized fridge, it means you won’t have a pantry or you’ll have hardly any counter space. There really isn’t space for something you don’t use. People who don’t cook a lot typically don’t use ovens—they’ll use a cooktop or a microwave.” Many of the Wind River homes have been fitted with four-burner, 20-inch ranges, Weaver said. 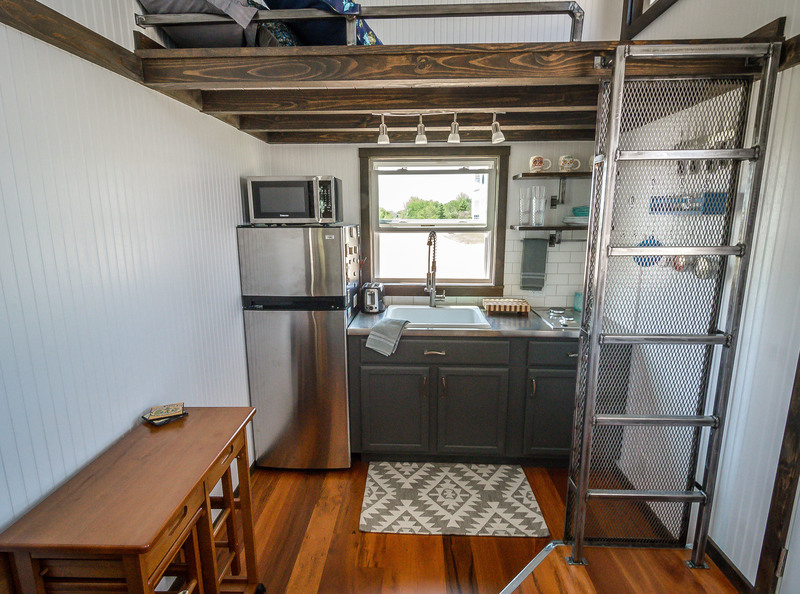 In his tiny house, which includes four burners and an oven, he’s able to fit four full-sized pots and pans on top and 2-3 cookie sheets in the oven. Every inch matters in a tiny house, and some may opt for a two-burner portable induction cooktop that can hang on the wall when it isn’t being used, Weaver said. 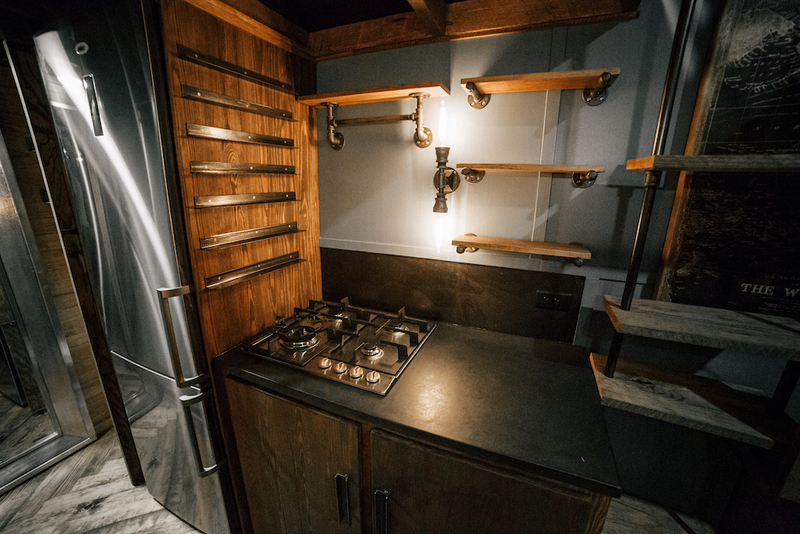 Appliances in tiny homes often are powered by propane. 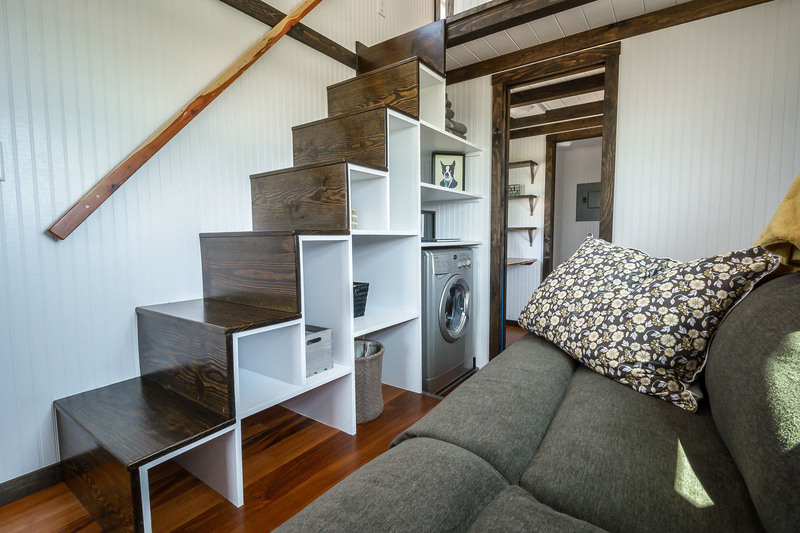 Mobile tiny homes can also be set up to plug in like RVs. For laundry, combination washer-dryers are the way to go in a small space. They’re common in Europe and Asia, where small-space living is more widespread, Weaver said. “About 60 to 70 percent of the houses we’ve done have them.” More options from manufacturers have become available over the past few years, he said. Small appliances were already being manufactured for boats and RVs. 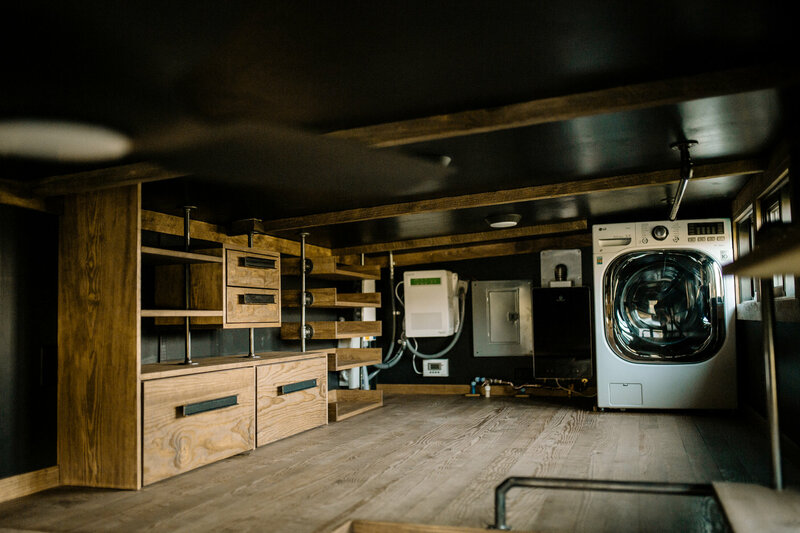 Wind River recently installed a dishwasher for the first time in a tiny home and used a model made for an RV, a drawer-style under-counter model.